Nylon halters to fit foals, weanling, yearling and pony size horses. Nylon halters to fit Cob and smaller horses. Nylon halters to fit Full/Average, Large and Draft size horses. Nylon halters with animal print overlays. 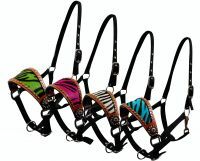 Break-Away halter and replacement straps. 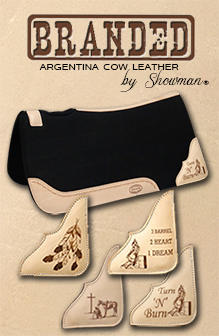 Leather Halters to take you from the pasture to the show ring!